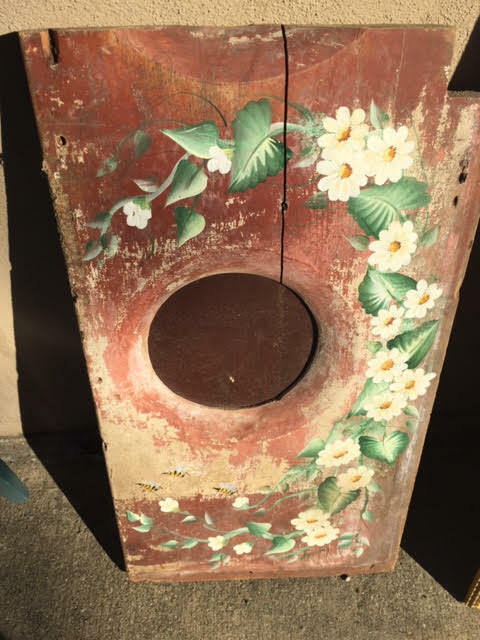 Must Have, One of a Kind, Folk Art – A Vintage Painted Outhouse Seat! 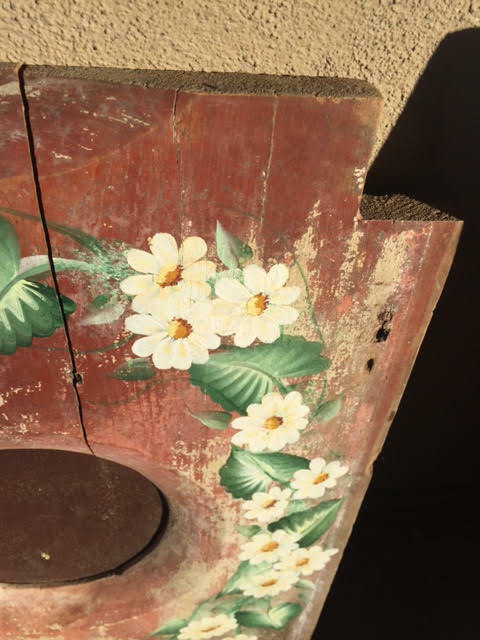 Seriously… when was the last time you saw an old outhouse seat painted up so nicely? 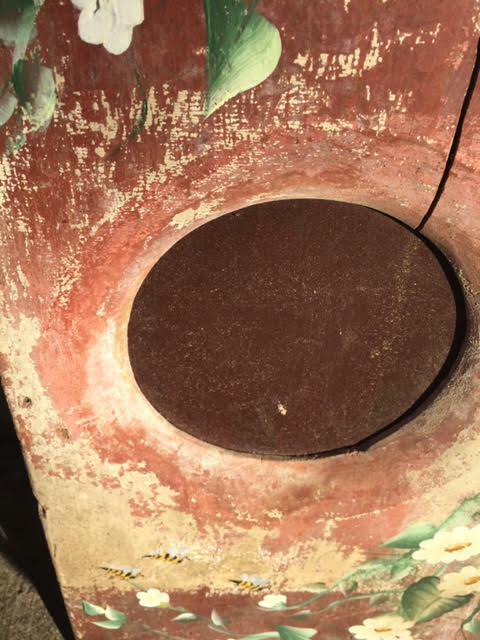 I don’t even want to count the number of times I had to use the outhouses at my grandparents while growing up. And we certainly didn’t have anything like this to sit on! 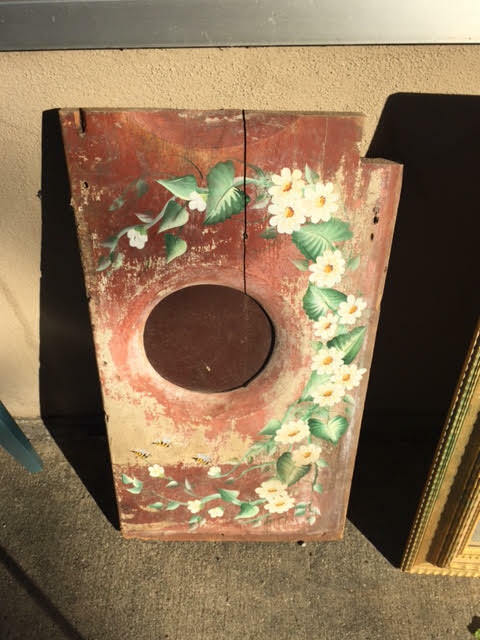 This has to be a one of a kind piece; I’ve never seen one like it and I’ve been around the block a few times. Complete with wire hanger on the back. 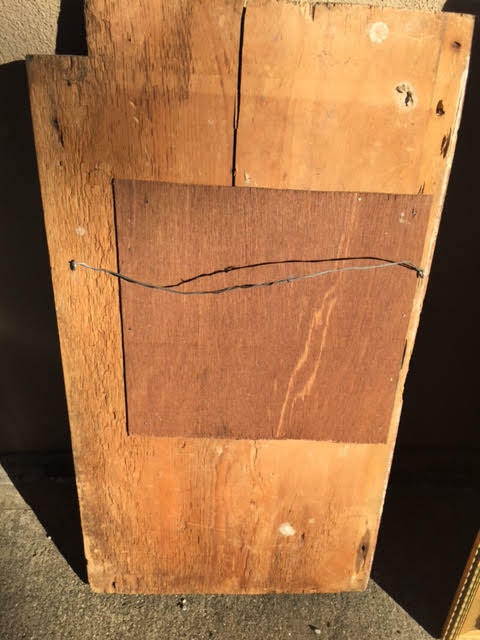 Condition: It’s in great condition, considering….. Location: This folk art seat / wall hanging can be found at our main location in Lewiston. 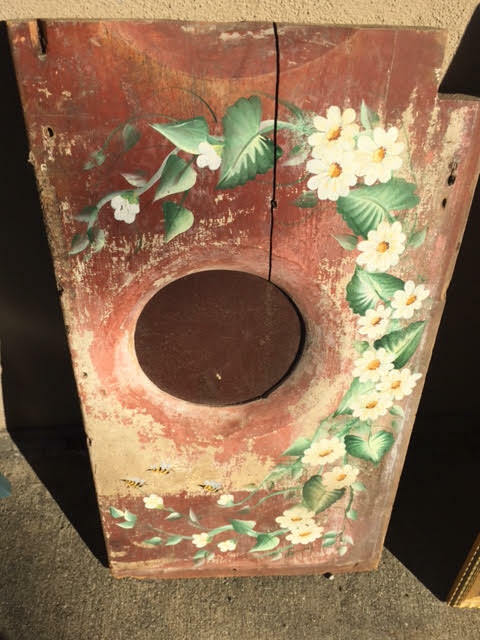 This entry was posted in Collectibles, Primitive & Farmhouse Decor and tagged antique outhouse seat, Heritage Collectibles, heritage collectibles books and maps, outhouse, outhouse seat, painted outhouse seat. Bookmark the permalink.